Hey everyone! It's definitely been a while! Things have been a little chaotic lately and I'm hoping (fingers crossed) things start to settle down in the next few days! More on that later! I love shopping at Shein for affordable clothes that, in my opinion, are dupes for some designer brands. Like I said before, you do have to make sure you check the sizing for each item (they do clearly say that) as they tend to run a little smaller. 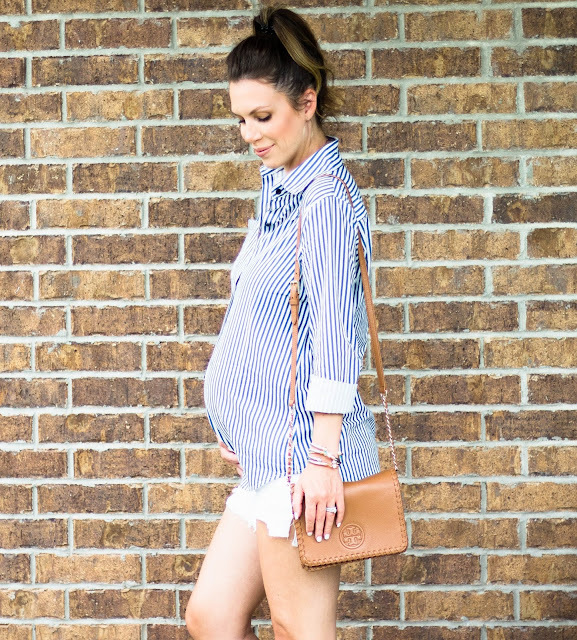 I fell in love with this button down shirt, because for one....I can't get enough of blue and white stripes this spring/summer and also, I know it will be perfect after pregnancy and easy to nurse in. PLUS, it's only $14! I ordered a medium so I was able to button it over my belly. It's very easy and lightweight so no worries of it being too hot for summer. 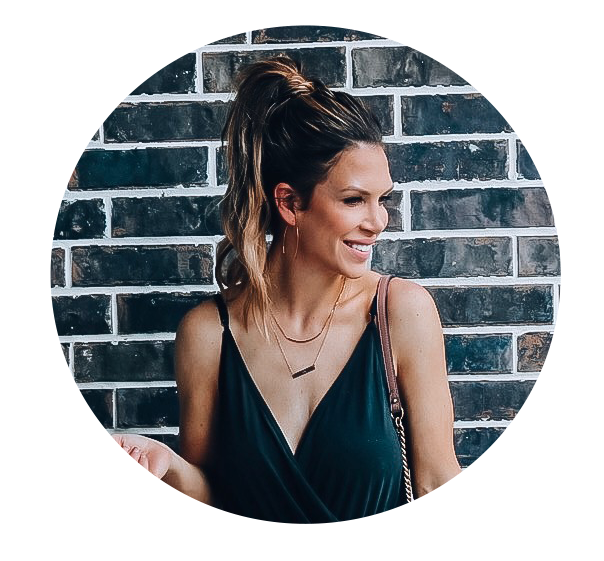 I also have a few items on my wishlist from Shein I wanted to share!!! 1) I LOVE the palm leaf print on this dress. So perfect for summer and only $14! 3) How gorgeous is this maxi dress for only $26! 4) Ok, I've been DYING to try this strapless adhesive bra after seeing it all over IG and Facbook! Has anyone tried it??? Only $13! 5) Definitely getting this top! It would look soooo cute with distressed cutoffs! It comes in 5 colors and only $19! 6) THIS palm leaf bikini! Insert all the heart eyed emojis! Only$12! My wishlist could honestly be 100 items long! haha! I better stop there! I'm hoping to get back to my regular schedule on my blog and on Instagram next week! I can't wait to share everything that's been going on! So exciting but definitely lots of craziness! haha!